Measures 36 in. H x 22 1/2 in. W x 9 in. proj. 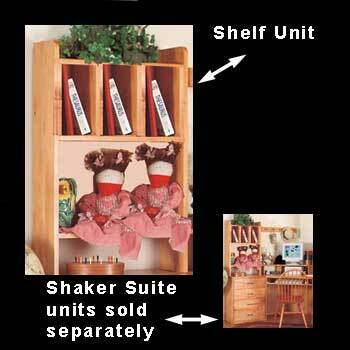 The Desktop Shelf unit is part of the Shaker Corner Desk suite (each unit is sold separately), a fully functional work space. 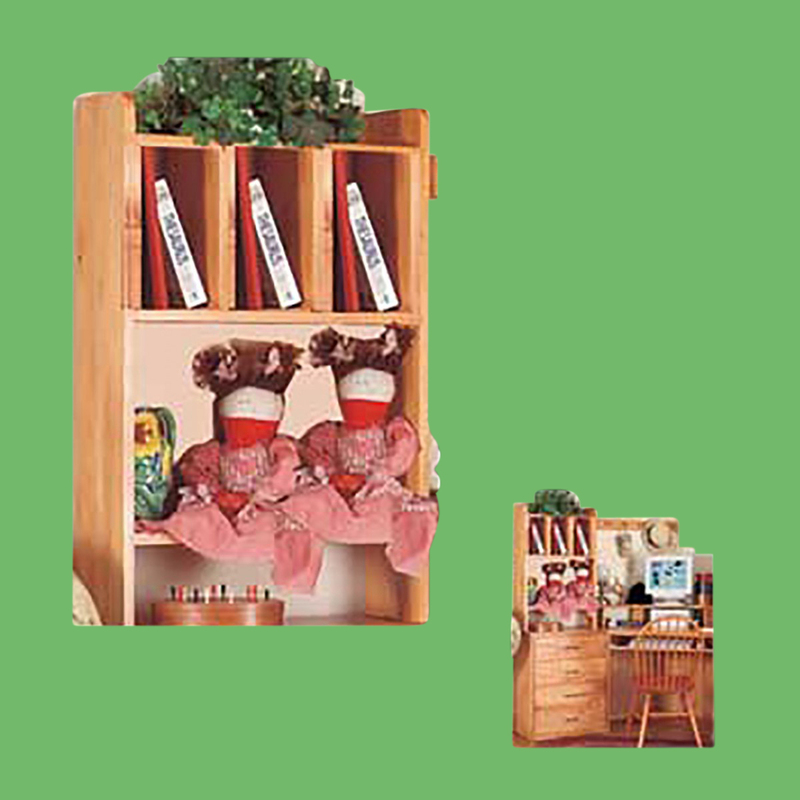 This desktop shelf unit has 3 cubby holes and 2 shelves and is designed to have plenty of room for storage. 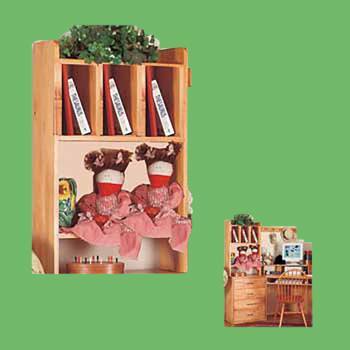 This shelf is made to sit on top of a lower storage unit, sold separately. 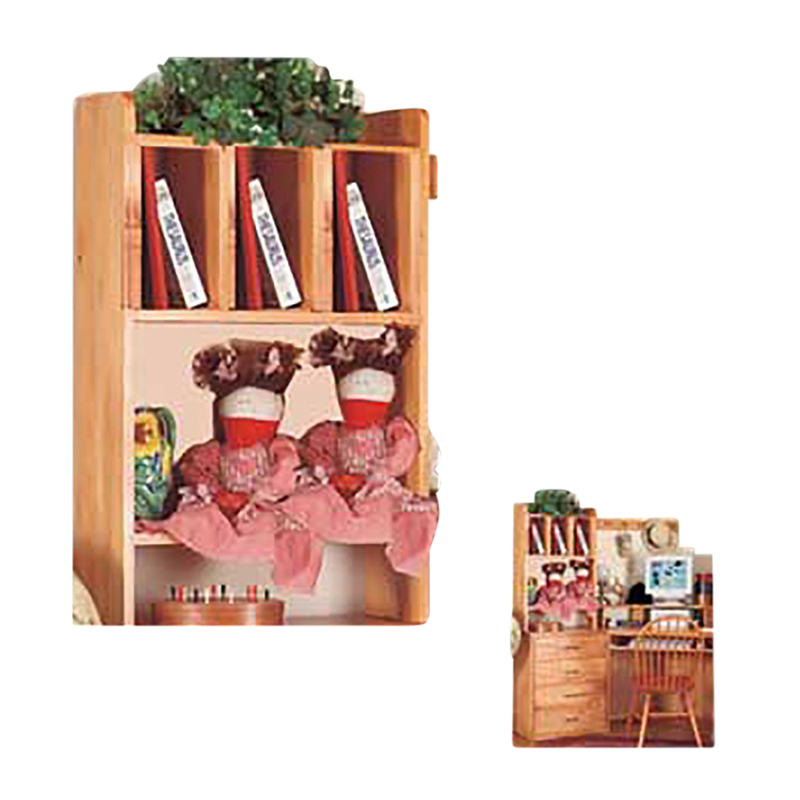 Measures 36 in. H x 22 1/2 in. W x 9 in. proj.